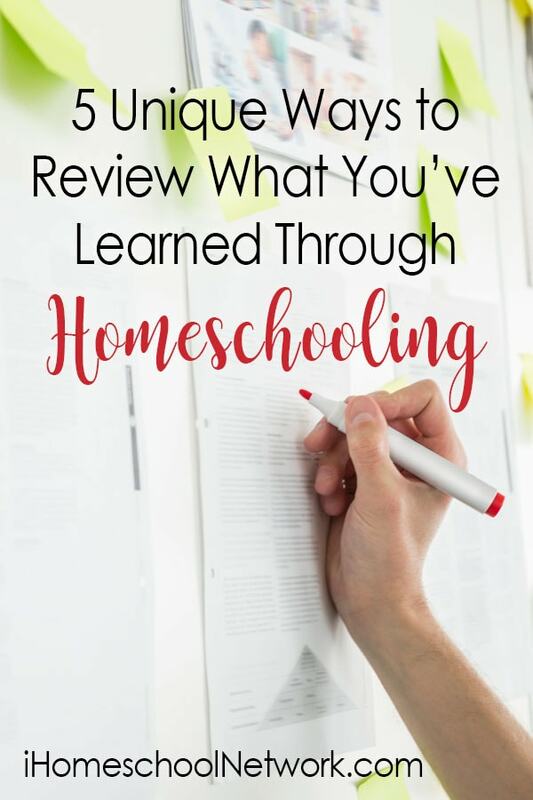 As homeschooling families, we have the opportunity to make our learning incredibly memorable—both in what our kids are studying and how we choose to have them review. After all, when homeschoolers review, the point isn’t just to prove they’ve learned something, it’s also to have fun in the process! Here are five unique ways review what they’ve learned. 1. Borrow ideas from board games. Although generally played with random facts relating to a person actually participating in the game, this can easily be modified for a person, place, or thing in history. Can your kids determine the lie in a list of three statements about Abraham Lincoln, King Tut, the Civil War, or the painting of Mona Lisa? This is a fun way to review that can take as long or as short as you want! Similar to Two Truths and a Lie, a random statement is written on a card that is read to all players. All players must signify in some way if they think that statement is fact or crap — we made cards that say “fact” on one side and “crap” on the other; when responding to the question, you simply make sure your chosen answer is face up. The trick to this game though, is that it’s a race. The first person to answer correctly gets 2 points. If you’re not the first person but you answer correctly, you get 1 point. If you answer incorrectly, you lose points. This requires a bit of set up, but is certainly one of the more memorable ways we’ve done review thus far in our homeschooling journey. We used a giant piece of tag board for our backing, and made categories/question space markers with index cards which we taped on to make the classic Jeopardy style board. Our categories were often subjects we were studying (Multiplication, Jazz Musicians, Periodic Table of Elements) or various topics within a unit we were concentrating on (Medieval Food, Medieval Diseases, Medieval Music). In an effort to conserve resources, we reused the 200, 400, 600 question marker cards, and I just had questions written on a master list (instead of writing new cards out every time we played). The boys had fun choosing “Medieval Punishments for 200, Mom” and impressed me with the things they had retained from our unit studies. 2. I bet I know more, sooner than you! If you’re looking for a little friendly competition between siblings, this game, loosely based on Name that Tune, could be just the ticket. Build up a stash of candy, coins, or any other small items that work well as rewards in your household. When it’s time to play this game, give each player a pre-determined amount of those items. We usually started with 20 pieces of candy. There were only two rules to our game: a) you couldn’t eat your candy until the game was done and b) you HAD to bet—you couldn’t just hoard your candy stash. As the game host, I’d then tell the boys the topic of the question: for instance, Thomas Edison’s inventions. In my arsenal, I had a card listing ten clues about a certain invention by Thomas Edison. The boys would then bet how many of those ten clues they would need in order to correctly guess the invention. Whoever was brave enough to bet the least number of clues would win the opportunity to hear the clues and give their answer. But where does the candy come in? That’s what you’re betting with. And the amount of candy you’re betting with is directly inverse to the number of clues you claim you’ll need to correctly guess. For instance, if you think you will need only one clue to correctly guess Thomas Edison’s invention, you are betting—and will win or lose—9 pieces of candy. If you think it will take you 8 clues to guess the invention, you are betting—and will win or lose—only 2 pieces of candy. If your kids have a hard time remembering how what they are betting relates to how much they will win or lose, just remind them – both numbers added together will equal 10. 3. Have the kids create something. Aside from what your kids are learning as part of their homeschool curriculum, they’re also interested in lots of other things, right? Tap into those a bit and use them to your advantage. Does your son want to be a rock star? Have him write a song about the Lewis and Clark Expedition he’s been reading up on. Does your daughter dream of being a podcaster? Have her put together a short podcast talking on what she’s learned about the Crusades. If your kids think they’re the next big YouTube stars, challenge them to make a video demonstrating the science concepts you just finished studying. Are your kids gamers? Ask them to make a game—be it video, card, or board—to help people learn their state history. And an extra bonus after your kids have created the thing? Have them present it to someone else (a family friend, a relative, co-op) and take questions from the people they are presenting it to. It’s great that the kids have learned the information, but how well do they understand the information? Can they do something with that information? Can they teach someone else about what they’ve learned? That’s when you will know they’ve really caught on to what they’re learning. In the middle of winter, when cabin fever threatens to destroy your happy, try a few review games that will keep your kids active and moving. Try a treasure hunt that leads around your house, property, or town, using clues taken from information you’ve studied on a particular unit. For instance, we once did a treasure hunt around our farm, and one of the clues on the hunt had to do with where slaves were sometimes hidden during their travels on the Underground Railroad. My kids headed right to our hayloft and found the next clue. Other active things you can do to review concepts can be done by first setting up a quiz type situation where there are three choices for every question—make sure they are questions which can be answered with A, B, or C. For instance: The Civil War started in: a) 1756 b) 1861 or c) 1901. Stand on their head for A, jump up and down on one foot for B, and do sit ups for C.
The possibilities are endless. Tie something physical to your quiz answers and you will be able to burn energy while you’re blazing those facts into their brains! It is common for homeschool parents to hear that kids need to take quizzes and tests on paper to have the experience of “filling in bubbles on a test sheet”. So, yes. I think it’s absolutely okay to occasionally give your kids a quiz on paper, using elements of many different kinds of quizzes: fill in the blank, word banks, matching, true/false, etc. The Fab Friday Quiz can be entertaining, and at the same time, expose your kids to possible aspects of quizzes or tests that they might encounter in the future. Keep a running list of facts or things you run across in the week that you know would make good questions for the type of review you’ve got planned. It’s much easier than trying to come up with 25 questions on Friday morning. Save old questions to be reused in later reviews. Ask your kids which ways of reviewing works best for them. My kids went through a stage where they actually liked the Fab Friday Quiz the best of all the reviewing options. Wait, what? 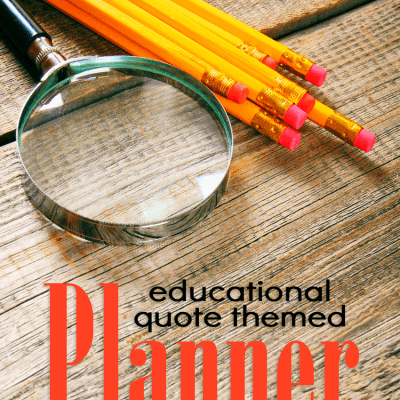 You like a worksheet the best? Kids can very often surprise us! Keep tabs on what ways of reviewing are actually helping your kids to recall information. While having an amazing time at the review game is always a plus, if you find that your kids can’t answer any of the questions you’re asking them, that’s a clue that a brush up is needed on the topic, or a different review method would work better. Remember, review is important to solidify what you’ve worked so hard to teach your kids, but it certainly doesn’t have to be boring! Stick these unique review methods in your back pocket to pull out on a day you need something a little different.